Kingsford High School and Dickinson County Healthcare System with the financial assistance from the Great Lakes Athletic Trainers Association have been chosen by the National Athletic Trainers Association as being a Safe Sports School. 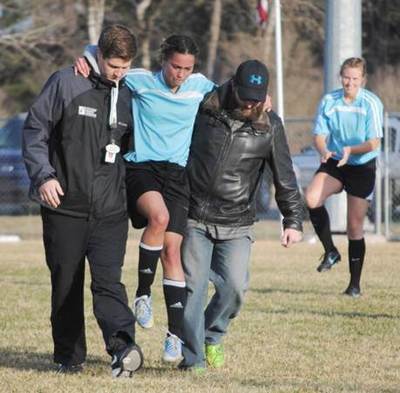 Dickinson Rehab Services offers advanced evidence based treatment techniques, protocols and technology to ensure the safety of each and every athlete and get them back to the game. Each rehabilitation program is designed to meet the needs of the individual and provides sport specific attention in order to help them recover and perform at the highest level. 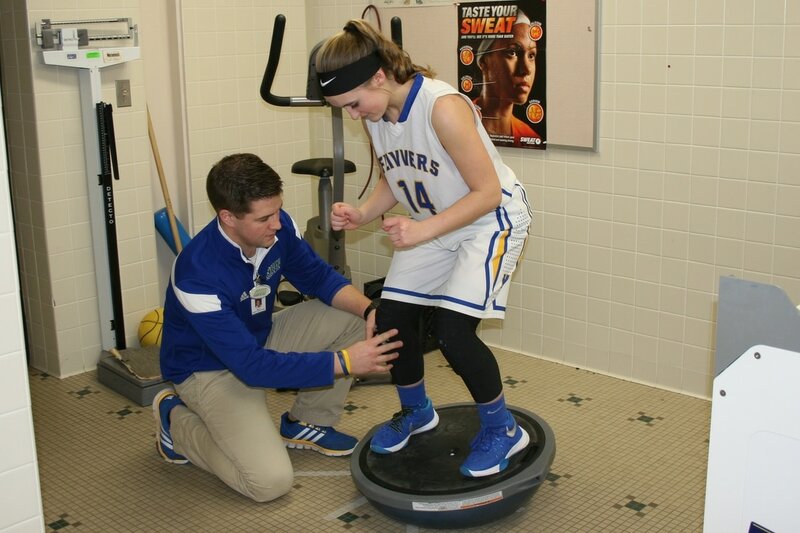 Our Certified Athletic Trainers work closely with Primary Care Physicians, Orthopedic Surgeons, Concussion Management Physicians, Physical Therapists, Occupational Therapists and Speech Therapists as part of a comprehensive healthcare continuum. We are able to provide efficient, high quality care to ensure proper diagnosis and treatment of athletic injuries. Dickinson Rehab Services employs highly skilled Certified Athletic Trainers (ATC). 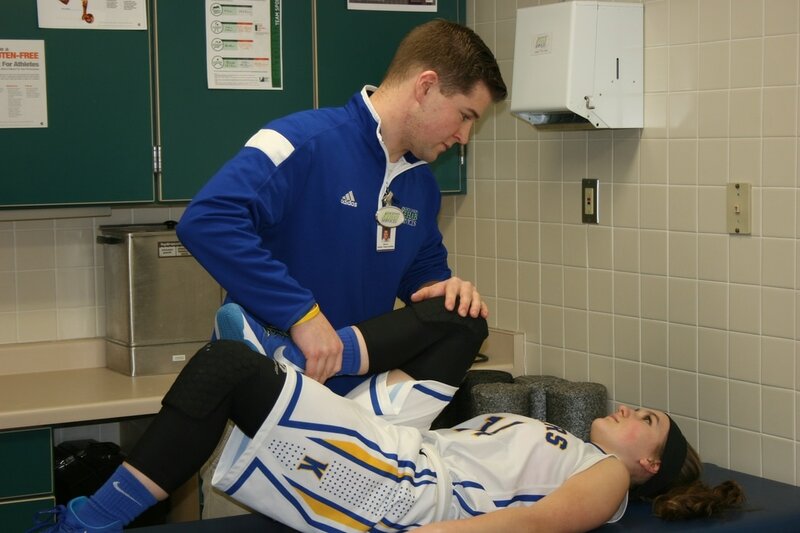 Athletic Trainers hold at least a four year degree from an accredited institution and are board certified by the Board of Certification (BOC). 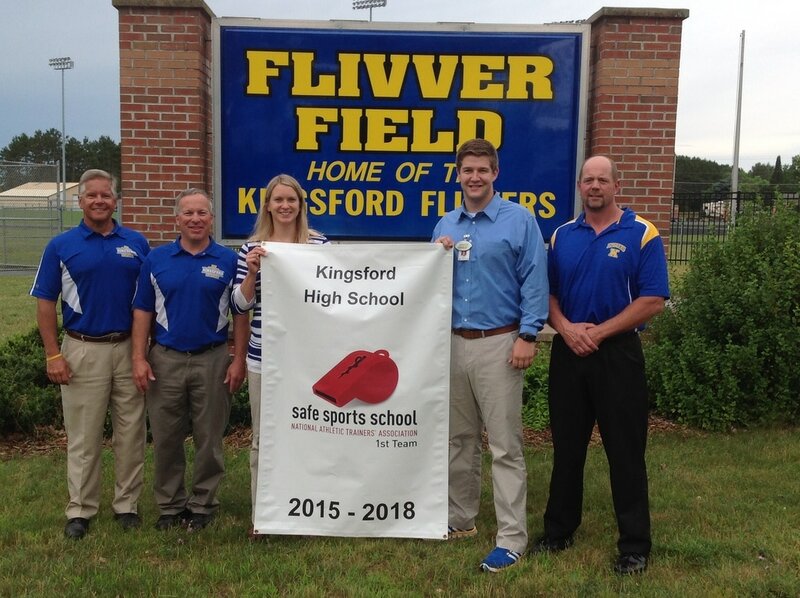 They are licensed healthcare professionals that work with athletes both on and off the field. 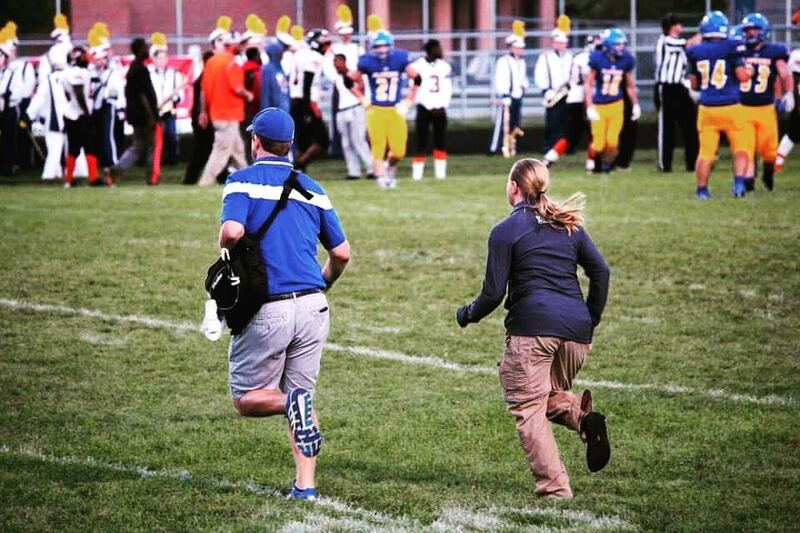 Athletic Trainers work closely with coaches and school administrators to ensure proper return to athletics. 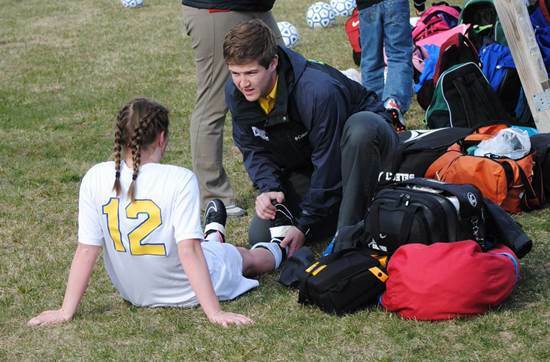 Athletic Trainers are available both within the clinic and school settings. 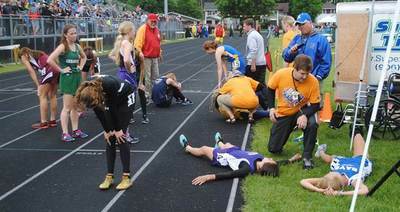 Dickinson Rehab Services is partnered with several area schools and community events to provide athletic training services. 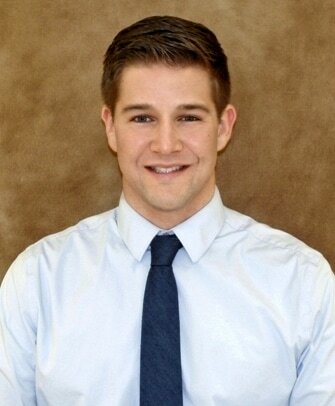 “Born and raised in the Upper Peninsula, I have been given the opportunity to provide sports injury prevention, outpatient clinical rehabilitation, and concussion management at DCHS. My primary responsibilities entail coverage to our local athletic programs at Florence High School. Originally from Bark River, MI, I completed a Bachelor of Science Degree in Athletic Training at Northern Michigan University. 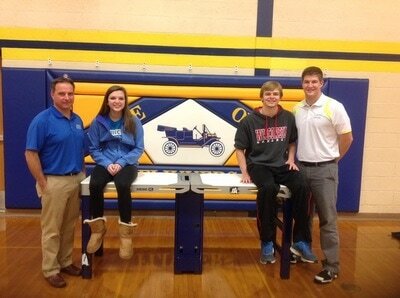 The program provided a wide variety of exposures including, but not limited to collegiate athletics. Since graduation I have worked in an outpatient clinical setting, managed an injury clinic setting, as well as, an industrial setting. These all provided me with unique tools and experiences that have led to where I am today. My love for the outdoors, sports, and the wonderful weather this state brings us will only be further explored with my journey with DCHS. I am quite honored to be a part of this reputable program, and hope to continue to contribute to its excellence. 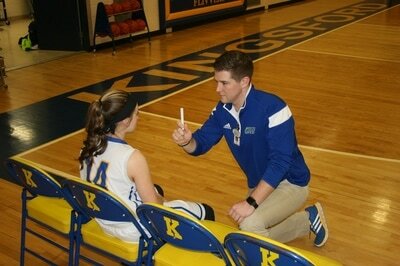 "I have been honored to become part of the DCHS Sports Medicine Team! My duties thus far have primarily been assisting the other athletic trainers within the team with their duties at their respective high schools and within the clinic itself. My career so far has been a very fulfilling one. 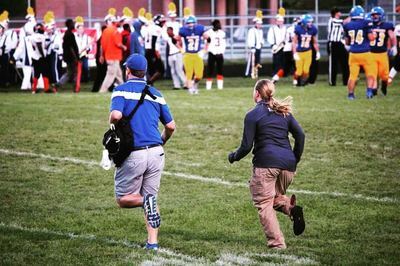 It began with managing a satellite sports medicine clinic at Western Michigan University as a graduate assistant, moving myself out to Washington state after graduation to work within a physical therapy clinic and outreach as the Head ATC at Timberline High School, and finally working as an orthopedic technician within a private orthopedic practice. It is such a privilege to be able to bring the skill sets I have obtained and grown upon back into the community that helped build me into the professional I have become today. Having been a patient within the DCHS physical therapy department myself, it is amazing to witness how much the system has grown and continued providing great care to the community. I am excited and proud to help continue to build this phenomenal program." Athletic trainers treat athletes for various types of injuries and are highly trained to be first responders on the field. Free injury assessments can be scheduled with Dickinson Sports Medicine Athletic Trainers. Utilize rehabilitation programs and testing protocol to determine when athletes are ready to return to their sport following injury. Utilize ImPACT testing in the treatment of patients with concussion. ImPACT is the same testing program used by most professional and college organizations including the NFL, NHL, NBA, MLS, MLB, and NCAA. Fully integrated return to learn protocol ensuring academic success following head injury.